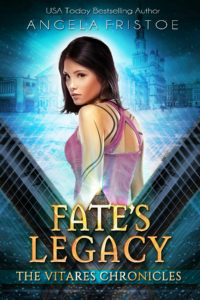 Fate brought her people to Earth, now it’s marked her for death. Aliens don’t exist. Or least, Willow was sure they didn’t until she finds out not only do they live among humans, but she’s their future queen. How is she supposed to deal with the fact that not only are aliens real and hiding among humans, but she’s their next queen and has been marked for death? Liam had one job to do—kill the Maya. As the future Vitares ruler, she’s destined to bring about the eradication of their race and the destruction of Earth. But when he meets Willow, a single touch ties them together for eternity. Now he has one mission—keep them alive long enough for Willow to ascend, even if it means sacrificing everything and everyone he loves.